Here are some cool bonus features you will see on the Blu-ray set. 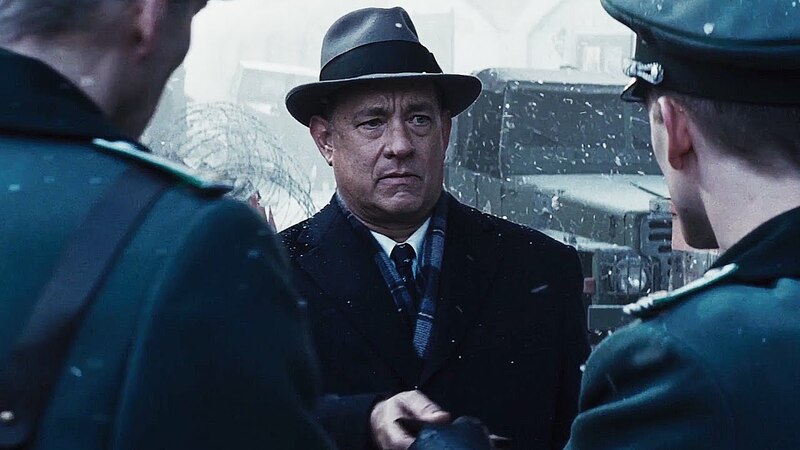 A CASE OF THE COLD WAR: BRIDGE OF SPIES – The story of James Donovan, Francis Gary Powers and Rudolf Abel encapsulates the Cold War era—a tense political cl imate shrouded in propaganda, espionage and the threat of nuclear war. This piece explores the characters and the real-life people they’re based on, ordinary men in extraordinary circumstances. 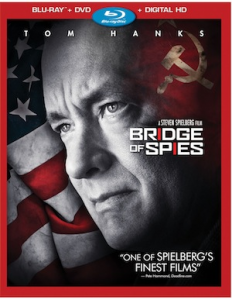 Steven Spielberg and Tom Hanks share personal stories of the Cold War, describing how experiences from their youth were part of the attraction to the script, how this influenced the way they approached the film and why the history behind Bride Of Spies resonates across generations and is relevant in today’s political climate. Print article This entry was posted by Art Eddy III on January 8, 2016 at 9:43 am, and is filed under Entertainment. Follow any responses to this post through RSS 2.0. Both comments and pings are currently closed.